When we shared our video Drone fishing for tuna, your incredible response inspired Sea Ulcer to develop a product that could do it all. 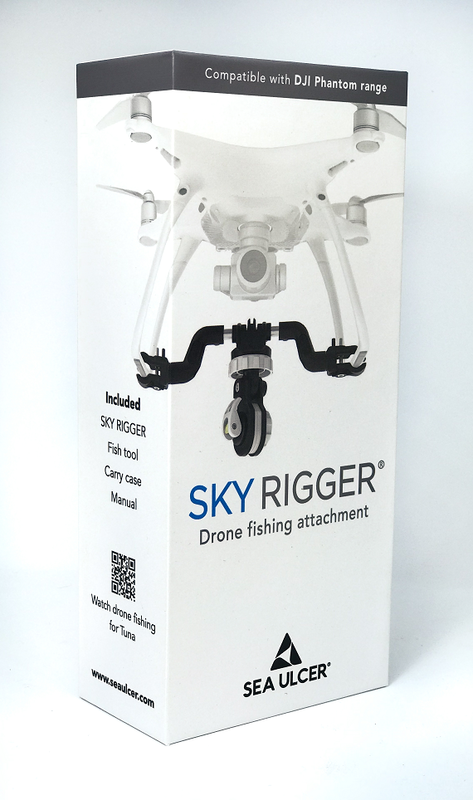 SKY RIGGER – an easy-to-use drone fishing accessory. SKY RIGGER takes fishing to another level, it allows anyone to safely fly bait or lure out and silently target fish from above. Whether you’re an experienced fisherman or have never fished before, SKY RIGGER expands your view to experience fishing as you have never imagined. 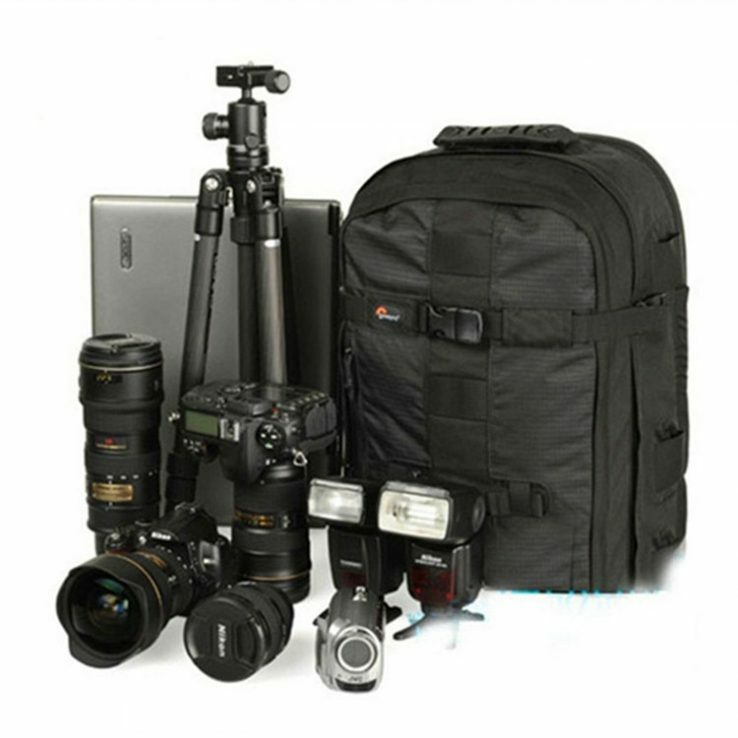 The ability to capture, relive and share epic fishing action is truly revolutionary. Sky Rigger allows you to remotely scope out for new fishing spots and structures that normally it wouldn’t be unreachable for you. You can silently target for new species and drop your bait with stealthy precision. The SKY RIGGER has been designed to maximize your strike rate, allowing you to capture epic fishing action like you never had before. The Sky Rigger is made from the finest corrosion-resistant materials and with no batteries required. 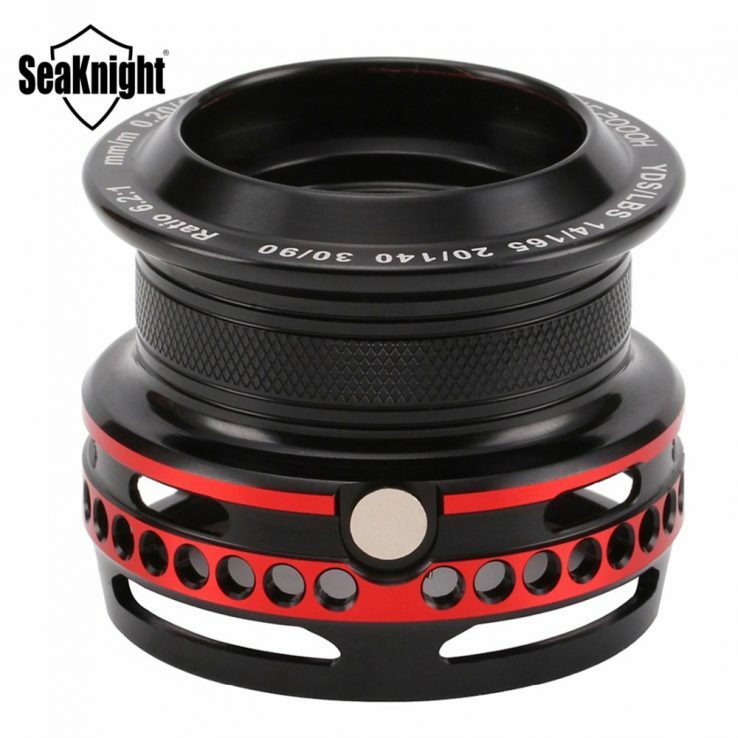 It offers the ultimate drone fishing reliability. 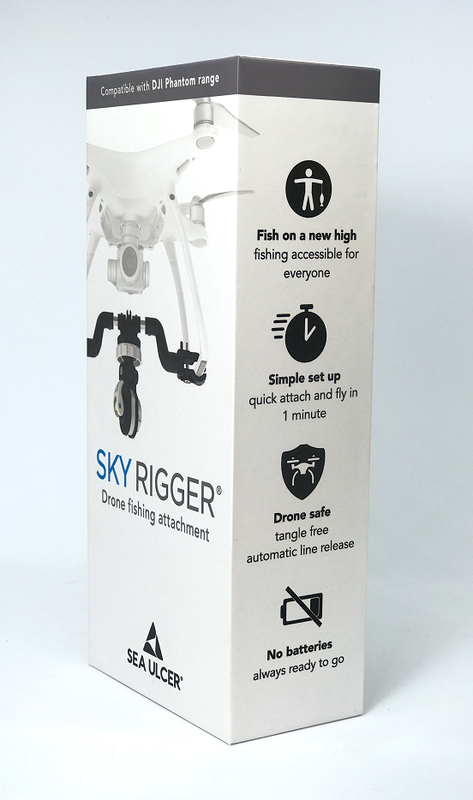 SKY RIGGER is a simple drone fishing release mechanism that has been designed to minimize the difficulty and increase your catch rate. No matter where you’re fishing – freshwater, estuary, inshore or offshore, a whole new exciting sport has opened up for all anglers. 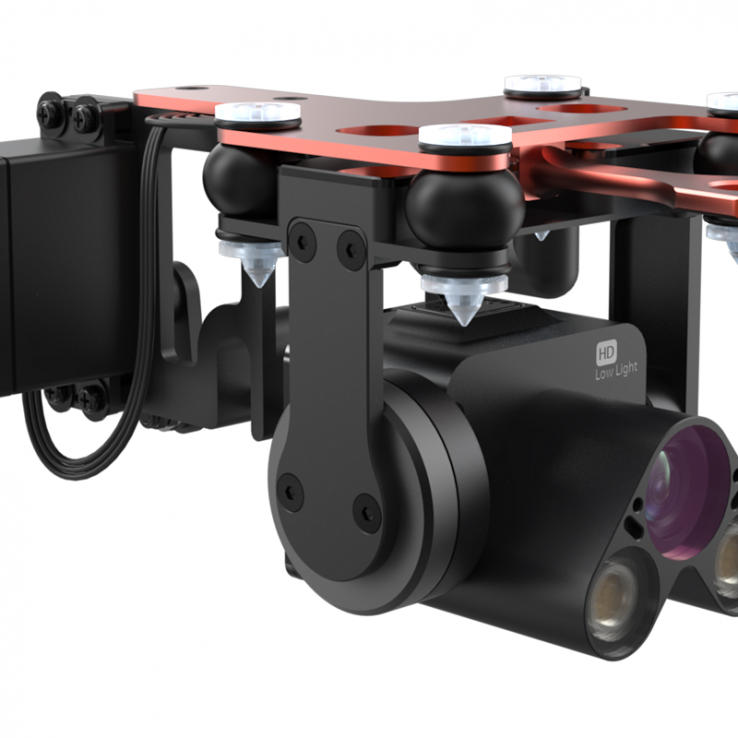 SKY RIGGER is made up of two distinct parts: the drone mount and release mechanism. 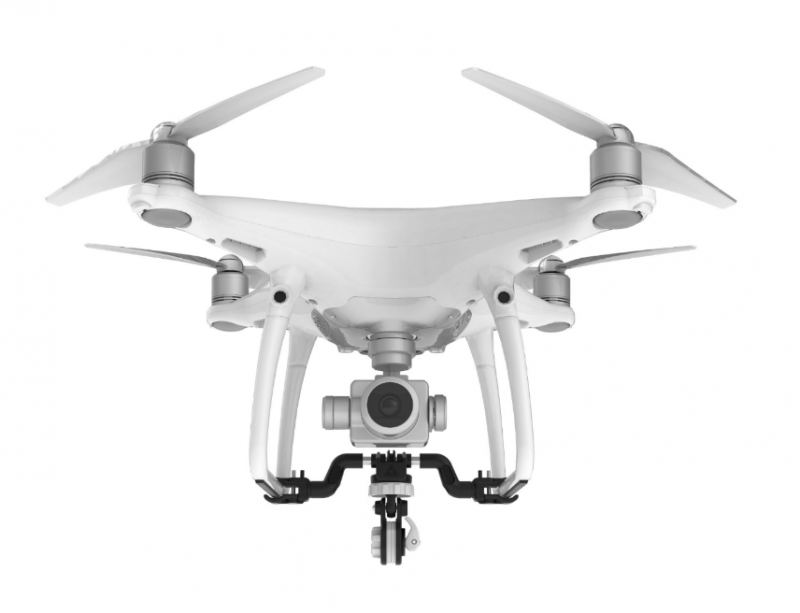 The fully-adjustable drone attachment includes two rotating leg clamps, allowing it to be mounted to the entire DJI Phantom range and many other drone models (see FAQ’s for a full list of compatible drones). 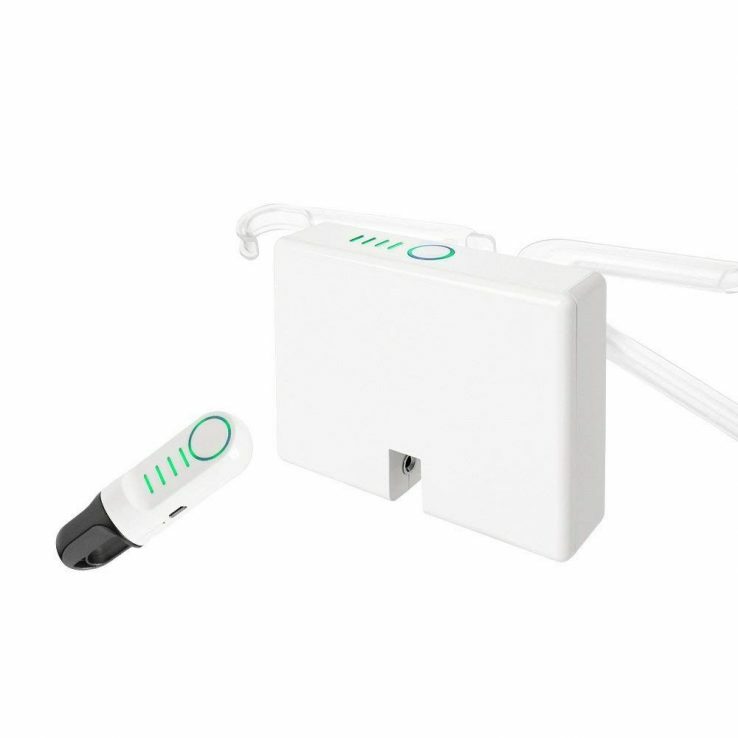 A bayonet-style connection has been specifically designed for the release mechanism making set up quick and easy on the go. The release mechanism pressure is adjusted via the tension dial, with the cam-lock arm designed to open and close the line clamps quickly. Because the line is released by pressure, the mechanism works without batteries, accommodating all types of fishing techniques safely. SKY RIGGER’s intelligent design features enable the line to release automatically when a fish strikes. 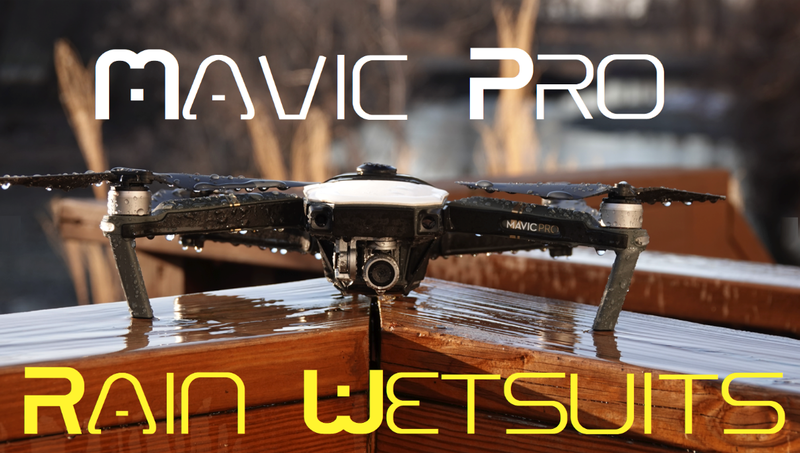 This functionality has been meticulously tested to minimize the risk of your drone being pulled into the water. You can release the line manually with a yank of the rod or the pull of a hand, giving you ultimate control, whichever fishing technique you use. 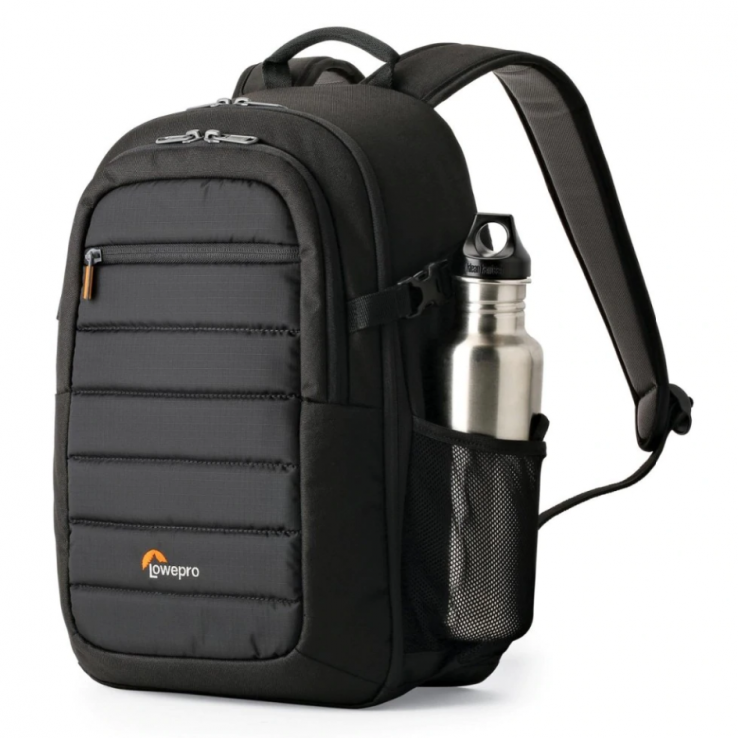 The sleek and safe design has no fishing line catch points, and a unique built-in swing stopper to prevent the fishing line from interfering with the gimbal or camera. horizontally and 180 degrees vertically. 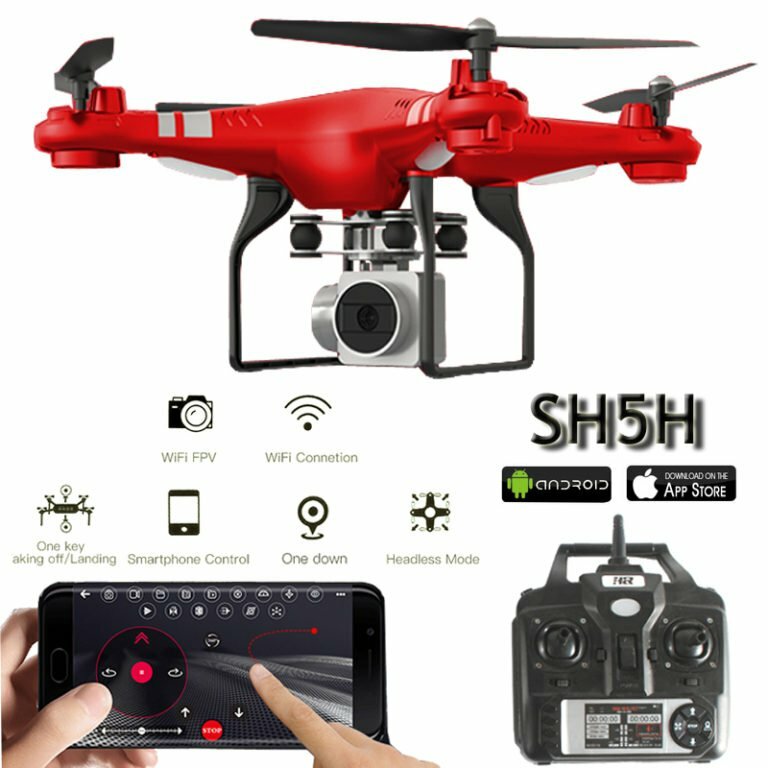 This exclusive feature allows you to maneuver the drone freely in any direction without the risk of tangles. The release mechanism pivots 180 degrees backward so your drone can land evenly on its feet. With SKY RIGGER, targeting offshore species is accessible to everyone. For the first time, people who either don’t own or are unable to board a boat have the ability to try fishing. SKY RIGGER gives you the opportunity to catch offshore game fish, such as tuna, mackerel, and marlin from the shore. SKY RIGGER is a revolution in fishing; it’s a whole new way to experience the sport and capture, relive and share unseen perspectives of fishing action like never before. Fishing for everyone: It’s fishing made easy, accessible and for everyone. Whether you’re an experienced fisherman or have never fished before, SKY RIGGER gives you the ability to experience fishing as you’ve never imagined. Explore new possibilities: Remotely scope out new drone fishing spots and structures that would normally be unreachable. Target new species and catch more fish. Keep your drone dry: Using innovative pressure release technology, SKY RIGGER drone fishing rig will release your bait or lure automatically when a fish strikes or manually by applying pressure. Access offshore: Fish offshore without leaving the land. 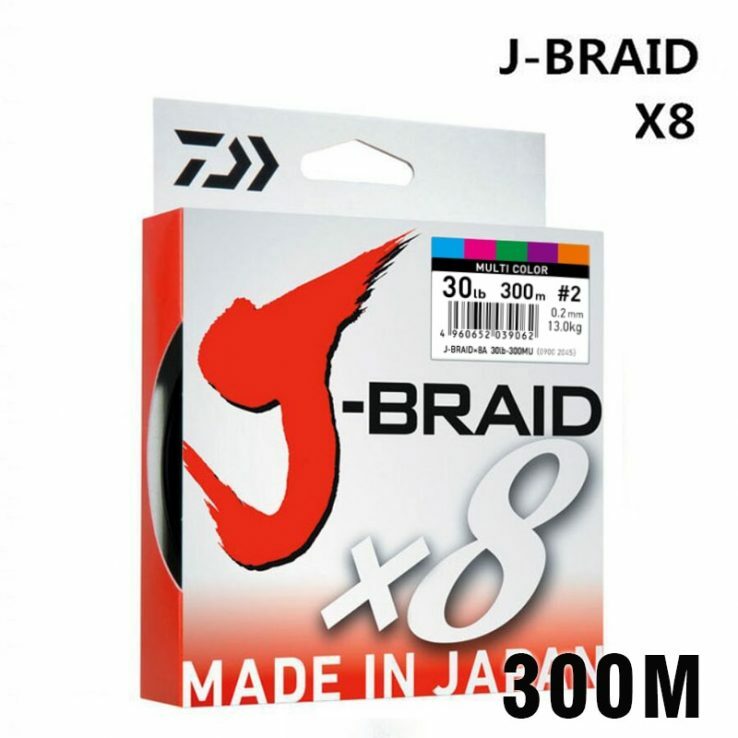 Your range is only limited by the length of line on your reel. No boat? No worries: Targeting offshore species is now a possibility right from the shore. Expand your view and reach the unreachable for the first time. Stealth mode: Compared to a boat engine, a drone is essentially silent. Get closer to big fish and drop your bait or lure with stealthy precision. Try new techniques: Experiment with dropping or dangling live/dead baits in the strike zone or trolling lures, drone fishing allows your leader to be above the water line making lures look irresistible. 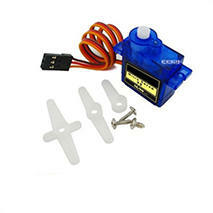 Cast light lures: Cast light lures and feathers further than ever before and target hard to reach snags and structures. Share your vision: Share new experiences and perspectives with friends and family. SKY RIGGER drone fishing attachment has been designed to maximize your strike rate, allowing you to capture, relive and share unique fishing action like never before. Simple set up: Get fishing in no time – SKY RIGGER’s quick and easy set up takes less than one minute. Built to last: Engineered with the finest corrosion-resistant materials and with no batteries required, SKY RIGGER offers the ultimate drone fishing reliability. Safe zones: Lower your risk of danger while fishing from the rocks! Drone fishing allows you to reach the desired location from a safer vantage point. Launch your drone and get your bait out where you want it. Sustainable: SKY RIGGER’s targeted cast helps reduce the amount of lost fishing line and tackle around our coastal rocks and reefs. This has a positive impact on our environment, which is one of our core values. ‘Dropping’ is casting a bait or lure at an extended distance and releasing the line far further than conventional casting. ‘Dangling’ is when you tease the fish by dropping baits in and out of the water. Live bait can be held in a desired location regardless of tide or wind. ‘Trolling’ with lures or baits allows your leader to be above the waterline, making lures appear more realistic and increase your strike rate. From a boat: Drone fishing from a boat has equally as many benefits as fishing from the beach. 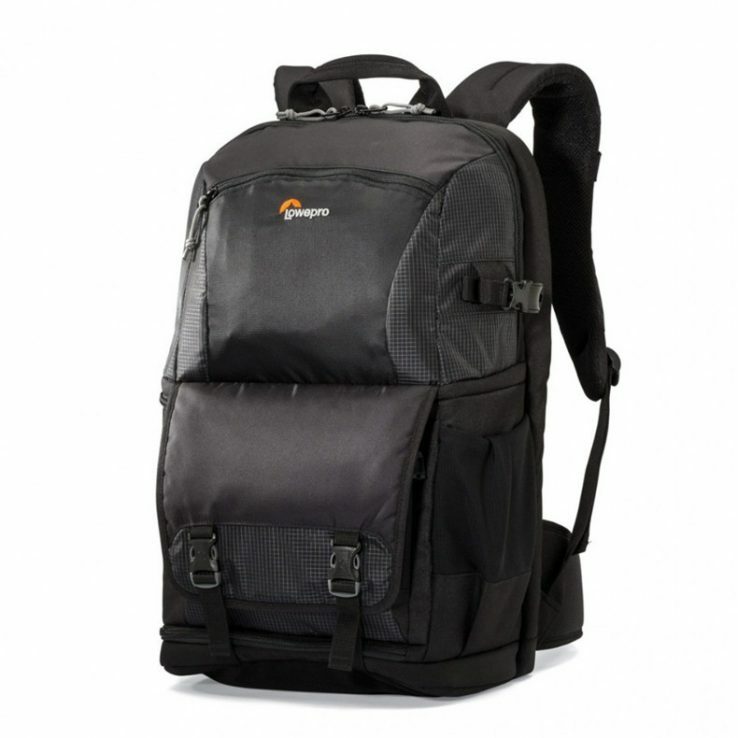 It enables you to look for fish aggravations, bird activity, bait and structures from an advantage above. With SKY RIGGER you’re able to cast a bait or lure silently from a distance where you won’t spook the fish with your boat engine. 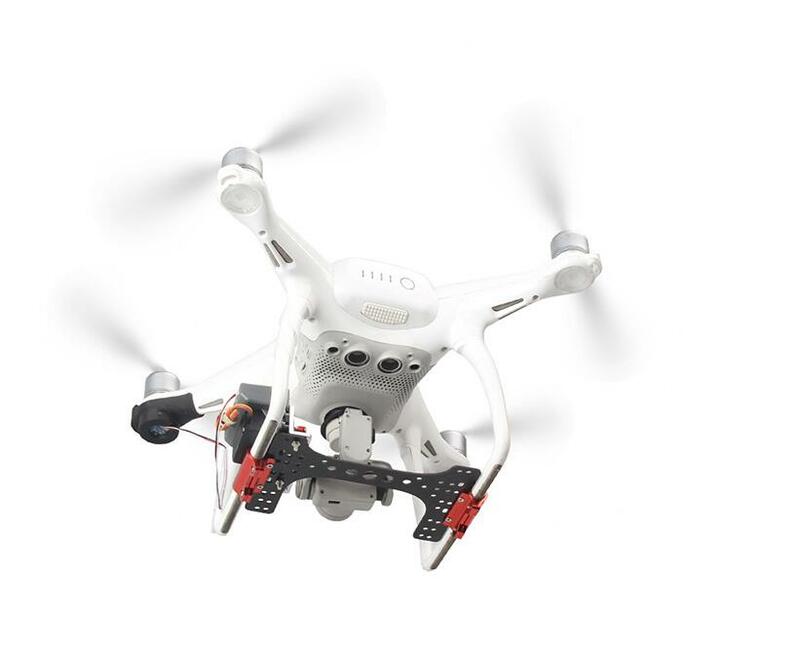 No batteries: SKY RIGGER does not require batteries, or linkage to the drones LED lights, ready to go at any time. 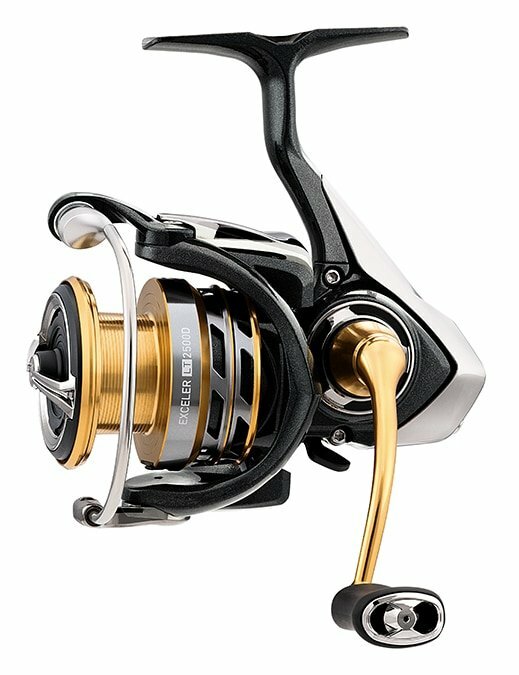 Tension dial: The purpose-built adjustable tension dial allows any type of fishing line to work with SKY RIGGER, giving you the ultimate control, while letting you fish your way. 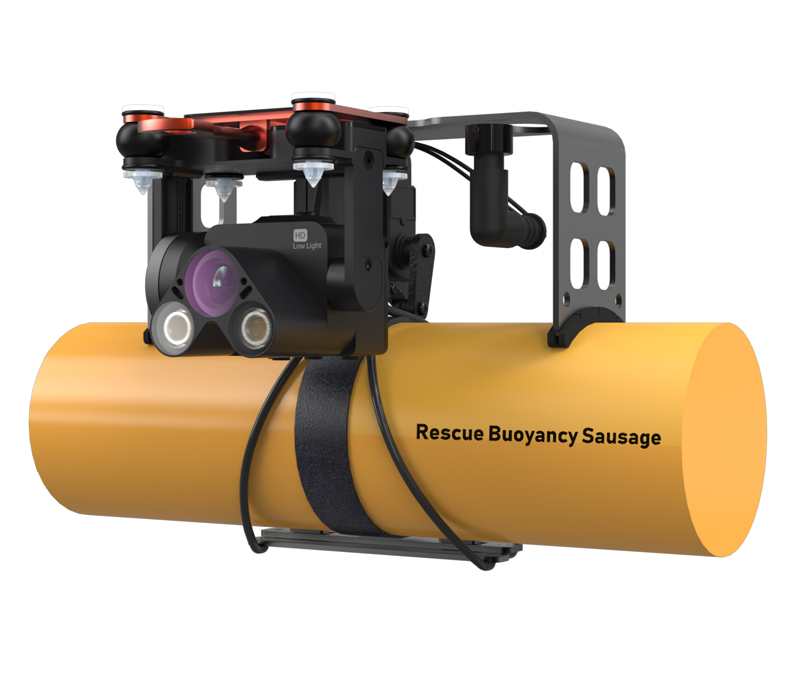 Swivel and pivot system: SKY RIGGER’s swivel and pivot system is designed to rotate 360 degrees horizontally allowing your drone to maneuver freely in any direction, without the risk of tangles. The release mechanism pivots 180 degrees vertically so your drone can land evenly on its feet. Sleek and safe design: SKY RIGGER’s patented features have been specifically designed to have no fishing line catch points. 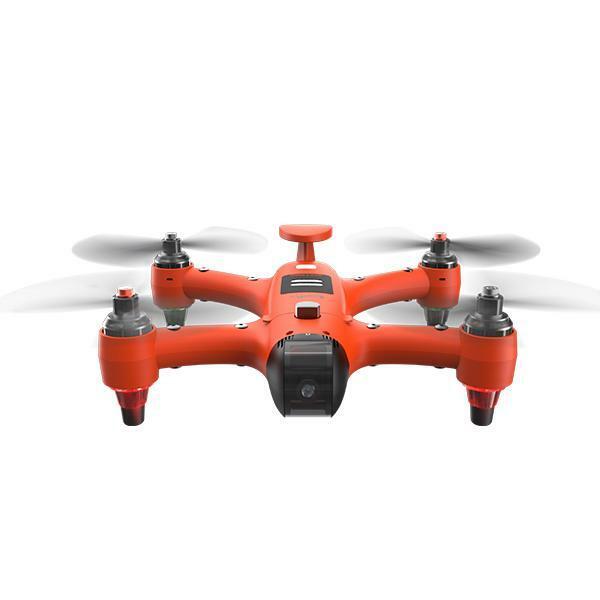 The line is attached below the drones legs which is a safer distance from the propellers compared to other products on the market. Detachable release mechanism: We developed a bayonet fitting to detach the fishing release mechanism quickly, This allows your drone to fit back in any case without removing SKY RIGGER. 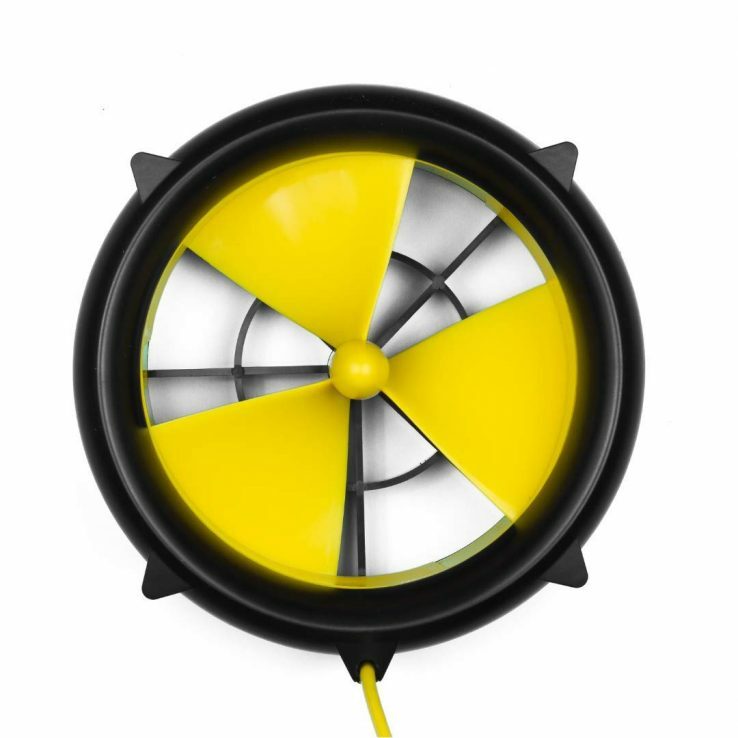 This feature will also make it possible to attach a range of new accessories that we’re developing. Stay tuned! Swing Stopper: The built-in Swing Stopper prevents the fishing line from interfering with the gimbal or camera. 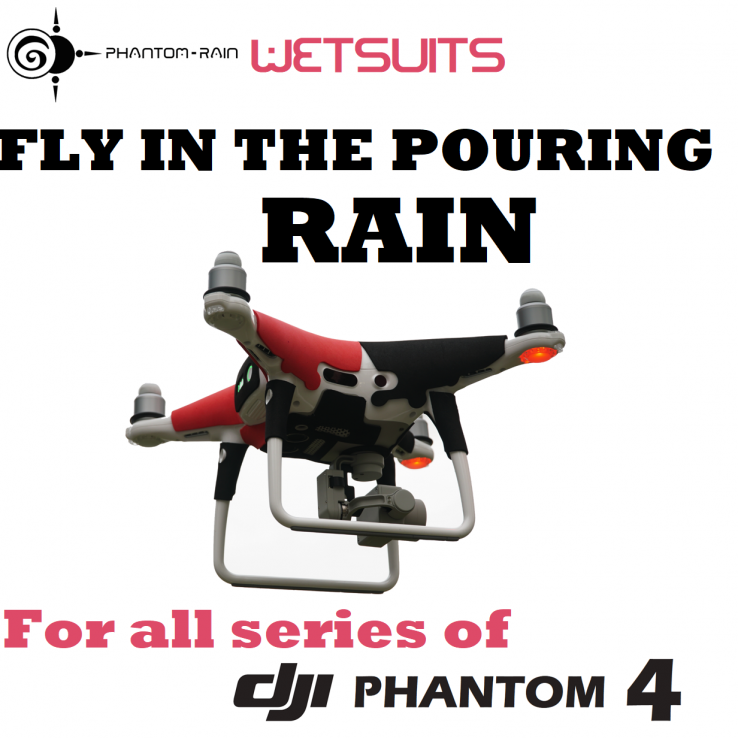 This ensures you have clear vision at all times and helps protect your drone from being tangled. No VPS interference: Tested and designed with rotating attachment clamps allow the SKY RIGGER to mount vertically or horizontally to avoid interference with your drones sensors. Stability: SKY RIGGER mounts close to the drones center of gravity, so the direct weight is dispersed evenly between both legs, this allows you to lift heavier baits safely without affecting the drones maneuverability or stability. Drone safe: Intelligent design features prevent tangles and enable the line to release automatically when a fish strikes. 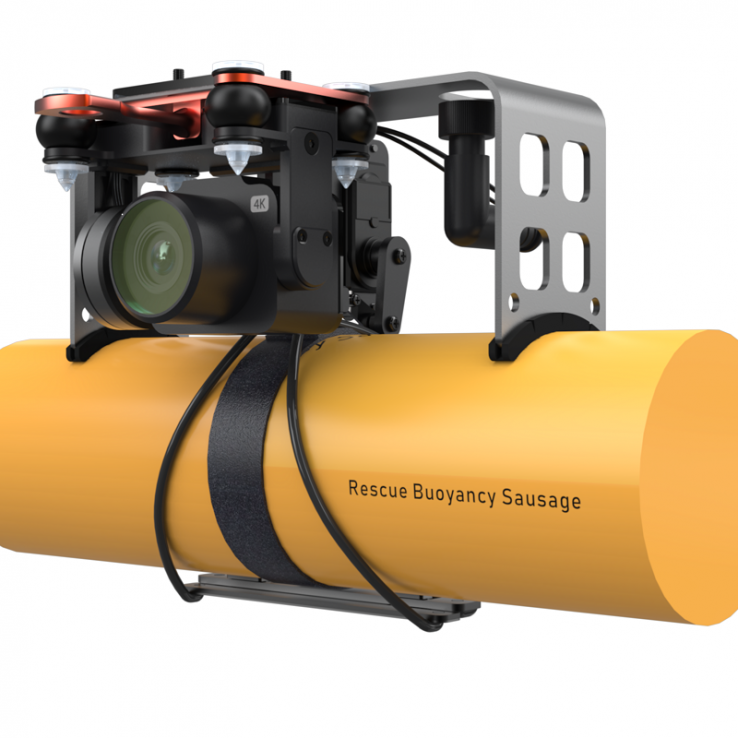 This functionality has been meticulously tested to minimize the risk of your drone being pulled into the water. 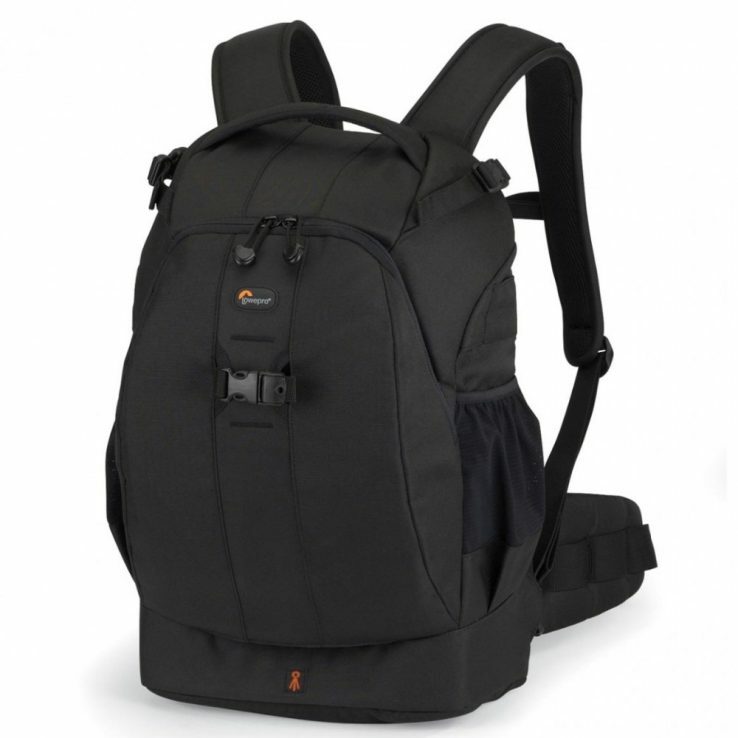 First, in the world, IP protected design and functionality. No drone modifications: No drone modifications required, SKY RIGGER is easily mounted to the drone legs and can be removed quickly. 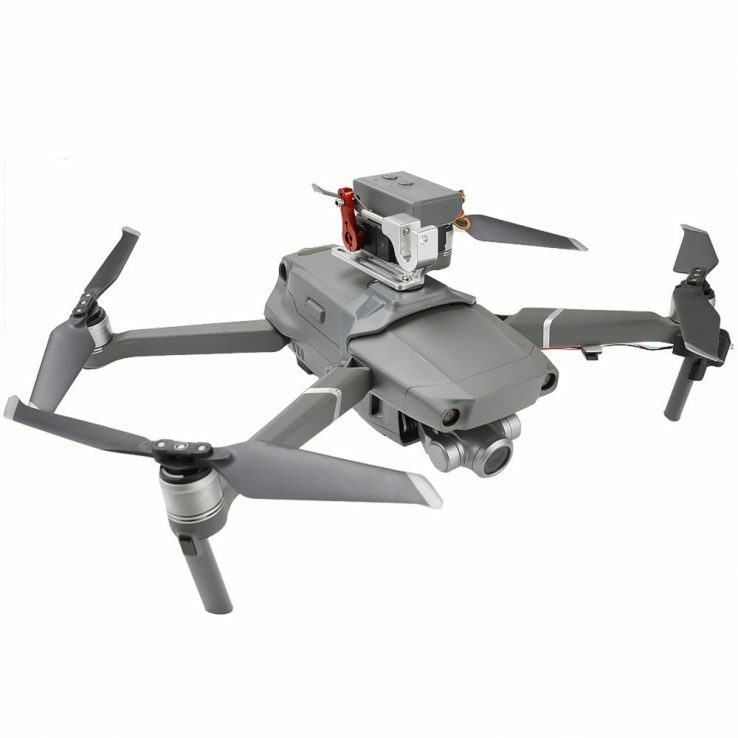 Compatible: Rotating clamps combined with the telescopic arms allow mounting on vertical, horizontal or diagonal drone legs. 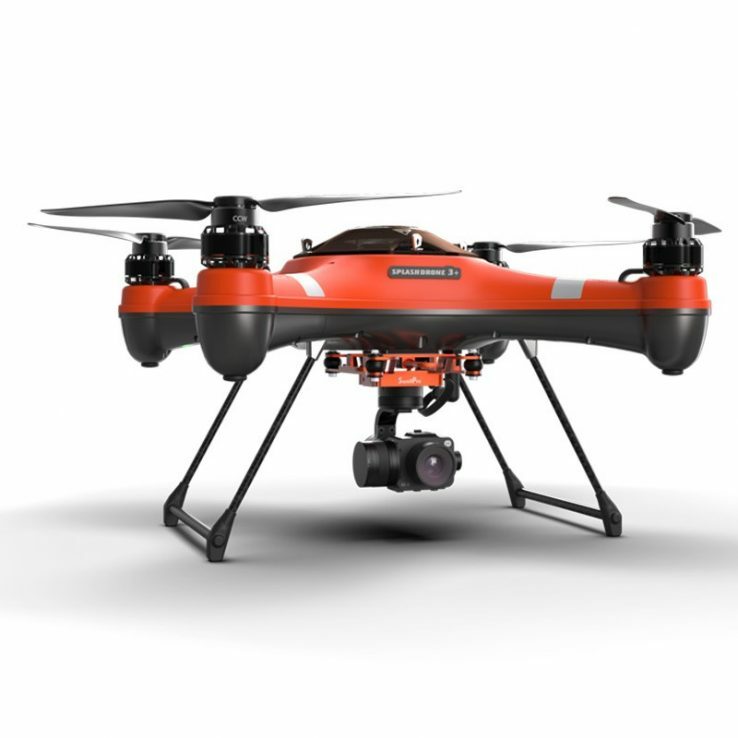 SKY RIGGER is adaptable for a range of drones, see FAQs for a full list of compatible drones. Compact: The SKY RIGGER’s compact and lightweight design has a low impact on your drone’s battery usage during flight. Quality materials: High-quality corrosion resistant construction is future proofed and built to last. We engineered the SKY RIGGER with Injection molded Glass Filled Nylon, Marine Grade Brass C464, and 316 Stainless Steel. Carry case included: SKY RIGGER comes with a padded foam protective case, small enough to pack in your tackle box, backpack or drone case. 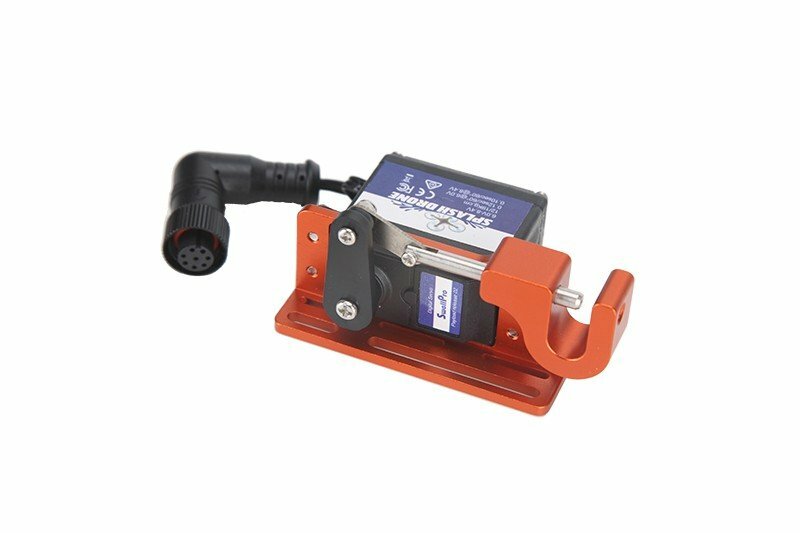 We supply a custom designed fish tool to adjust SKY RIGGER quickly on the go. SKY RIGGER dimensions: Detached, SKY RIGGER is 17 cm in length and 4 cm in width. Assembled SKY RIGGER is 8 cm in width. The length doesn’t change once assembled. Zytel® nylon resin: A high-grade injection-molded resin that features incredible mechanical strength, the perfect balance of stiffness and toughness, and excellent high-temperature performance. 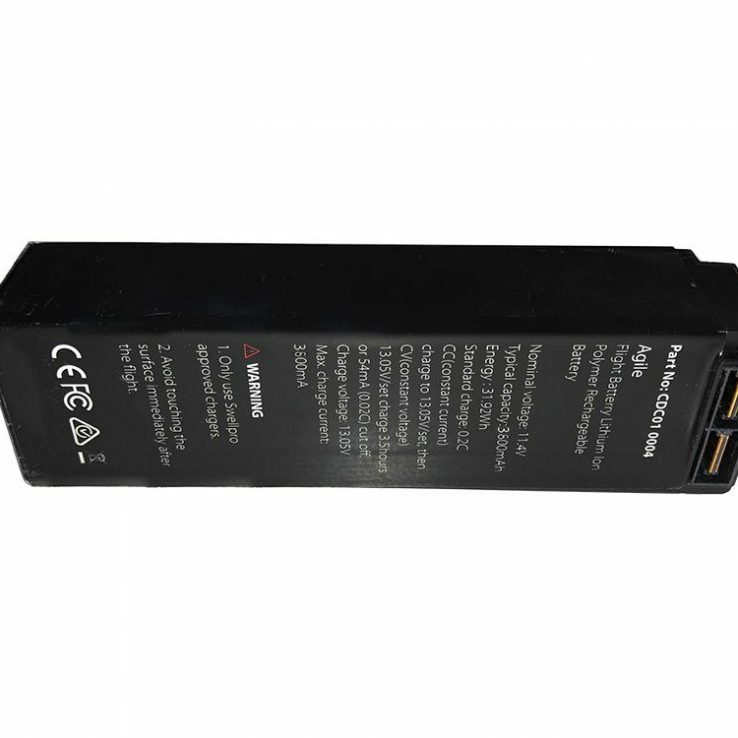 Elastollan® S85AN: A thermoplastic polyurethane (TPU) that has been specifically formulated for injection molding, it features good hydrolytic stability, excellent abrasion resistance, and is resistant to heat, oil, fuel, and solvents. C464 naval brass: This marine-grade brass is used in both saltwater and freshwater environments because of its extremely high resistance to corrosion and dezincification. 316 stainless steel: SS 316 is stainless steel that features higher nickel and molybdenum content, giving it better overall corrosion resistance properties when compared to other stainless steels.